Robert Bosch Power Tool, the biggest Bosch hand tool factory of the world produced its 100 millionth hand tool in Miskolc. From pre-development through the conceptual design to its manufacturing, products are the outcome of the work of professionals working in Miskolc. Its efforts to achieve a high level of innovation, automation and improved efficiency have already been recognised by several national and international awards, including "Plant of the Year 2017". Moreover, development efforts of the plant have been awarded by the "Industry 4.0 Special Professional Award" announced for the first time in this year. Bosch Group is a leading international supplier of various technologies and services. The Group is active in four business areas: mobility solutions, industrial technology, consumer goods as well as energy and building technology. On global level, it employs almost 402,000 persons, including 64,500 in the area of research and development, since the innovative power of corporation is a key to future growth. Bosch has been present in Hungary since 1898. The 120 years that passed saw its development to a significant corporation, a major foreign employer in Hungarian industry. With its nine subsidiaries in Hungary, the total turnover of Bosch Group was HUF 1,304 billion in the 2017 business year. Hungarian Bosch Group currently employs more than 13,500 employees. The commercial and service network belonging to each manufacturing, commercial and development unit covers the whole country. The development of Robert Bosch Power Tool Kft. 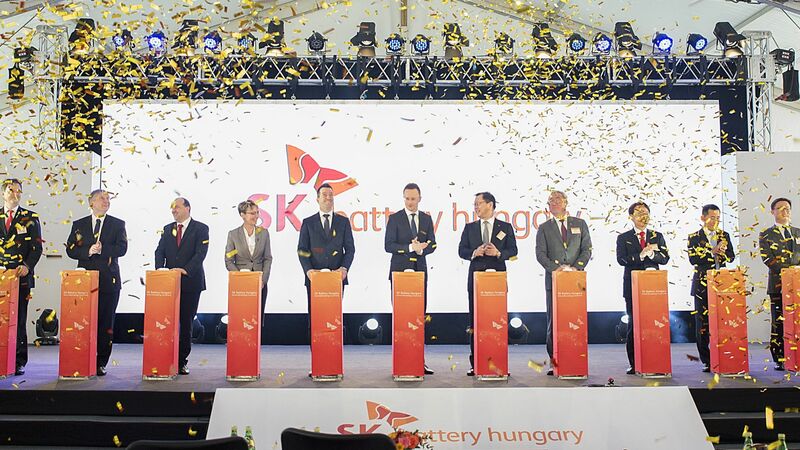 which was established in Miskolc in 2001 is a good example of the career of one of the most innovative companies of European machine construction in Hungary. They employ almost 2,400 persons, and added a new operational unit, the Regional Service Centre involved in packaging activities, among others, to their profile of developing and manufacturing electric hand tools in the last year. This way Robert Bosch Power Tool not only became the biggest hand tool plant of the world of Bosch Group, but produced 11 million tools in 2017. They needed just 7 years to produce the 25 millionth hand tool by the end of October 2008, and another 5 for the 50 millionth one on 23 August 2012. 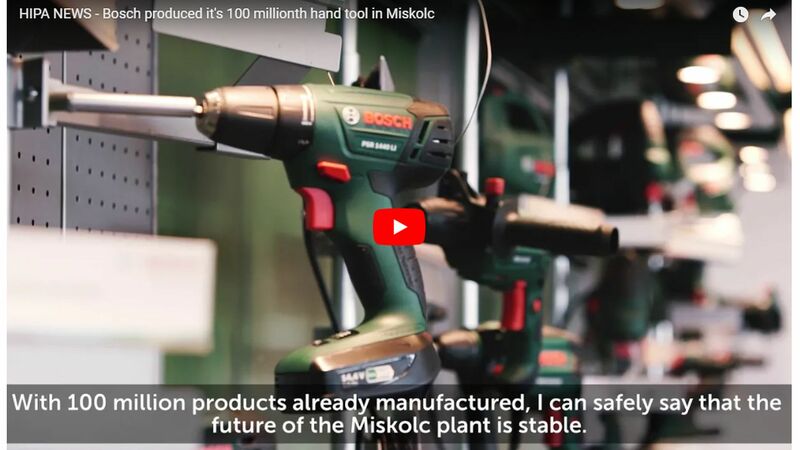 It is not yet 6 years to have passed until the celebration of the 100 millionth hand tool in Miskolc on 12 June 2018. 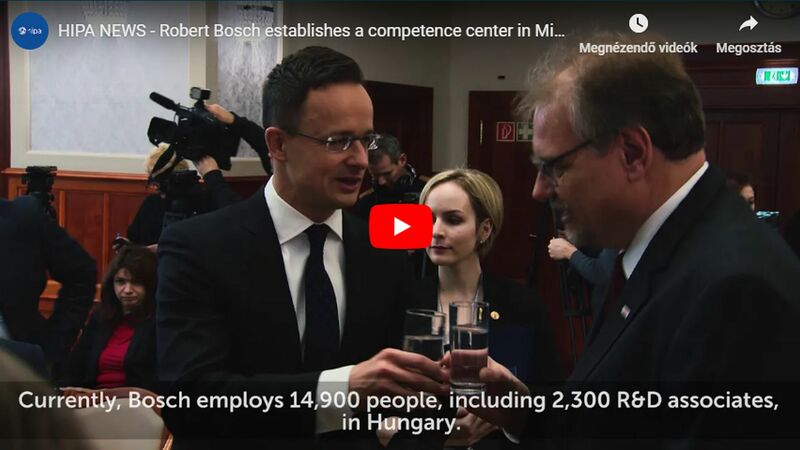 The presence in Hungary of Bosch is a hallmark of the process focusing on "Invented in Hungary" instead of "Made in Hungary". Hungary is an important part of the global R&D network of Bosch. The corporation spent a total of almost EUR 178 million on research and development in 2017 and employed more than 2,300 experts in the R&D area. Besides, the Group cooperates with 14 educational institutions, offering a practice-oriented dual training for the students of four of them, also promoting its own labour supply.